The title pretty much sums it up! If you look closely you can see the temple in the distance. At Barnes & Noble in Des Moines. My delicious dinner at The Cheesecake Factory in Des Moines. I seem to have a black thumb with potted mums and I have no idea why. I've researched how to care for them, but they always die too quick of a death. But I still get them every fall anyway! Sam playing with Boo Boo. The Instagram version of the above photo. Somehow this ended up being the most "liked" picture I've ever posted on Instagram! Sam was playing around with my phone and took this picture of me driving around to our various evening activities. It's kind of neat to see things from his perspective! John on the rings at gymnastics. His instructor was Dmitri Trouch, who was on the Russian men's gymnastics team in the 1996 Atlanta Olympics! I made myself a healthy salad for lunch. Delicious and nutritious! I need to eat like this more often. 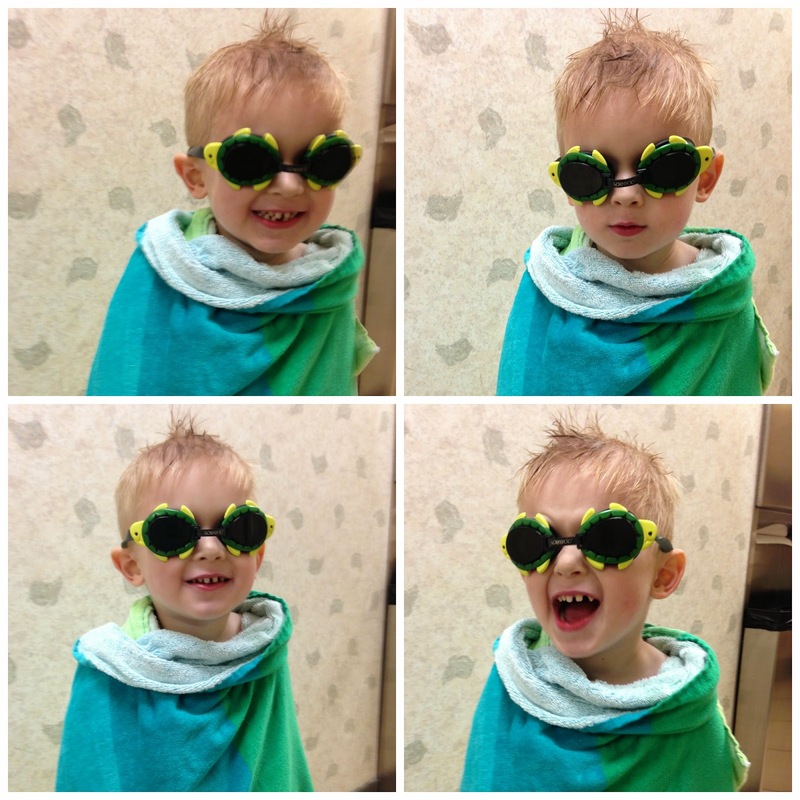 Sam is adorable in his goggles and towel after his swim lessons. Can you spot the spelling error? !?!?!? How did that get past them!? Ready to decorate the house with an assortment of fall pumpkins that I've collected over the years. I let Sam take pictures of his trains with my "fancy" camera. He loved it! He's a budding photographer for sure. One of the best spots in the house! I was ready to do one of my favorite things--cuddle up with a good book--as I sipped one of my favorite drinks--hot chocolate with whipped cream. That's my kind of evening! A festive pumpkin patch in the parking lot of the grocery store. Sam took this picture of me eating breakfast one morning. I like the impressionistic, blurred look of it. I told you that boy was a budding photographer! Super-comfy house slippers that I got at Kohl's. I'm not usually into sequins but I loved these! Lauren Conrad earrings at Kohl's are my favorite. Cutest earrings ever!